Steve Ballard has been a lawyer for over fifteen years and is now a Managing Partner with Cowley & Company. He started his career with a leading personal injury firm, gaining significant experience in the presentation of major loss claims including brain injuries, chronic pain and psychological injuries. 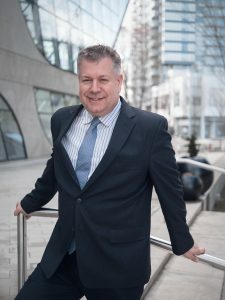 Stephen appeared regularly as counsel in the Supreme Court of British Columbia and at a number of tribunal hearings including acting as lead counsel for a successful appeal of a Canada Pension Plan decision regarding fibromyalgia. From 2001-2007, Steve was selected as designated contract counsel for ICBC, gaining considerable experience in a vast number of personal injury claims. He enjoyed winning a number of trials in Provincial and Supreme Court. After observing Steve’s work on a number of cases, Dr. Lee Cowley sent a headhunter to Steve and asked him to consider putting his talents to work for Cowley & Company. As a result, Steve has been working against ICBC since 2007, fighting to uphold the rights of car accident victims. Steve has consistently achieved outstanding results: he has a binder with many letters from his clients over several years that tell the same story – how glad they were to have hired our firm; the peace of mind they were able to achieve by working with a good lawyer; and how happy they were with their final settlements. Steve was asked to be a partner in our firm in December of 2012, and the long term future of the firm rests with him and his classmate from UBC law school, Wai Cheung. Steve is a long time resident of New Westminster, where he spent ten years as the Resident Caretaker of Queens Park and continues to be active in the community. In his spare time, Steve has coached with New Westminster Minor Softball, he is the past Clinic Head of the New Westminster Seniors’ Legal Clinic, and he served for years on the Board of Directors, including two years as President, of Shasta Trampoline Club: a club that has sent many Athletes to represent Canada at competitions around the world. Steve takes a special interest in motorcycle cases. 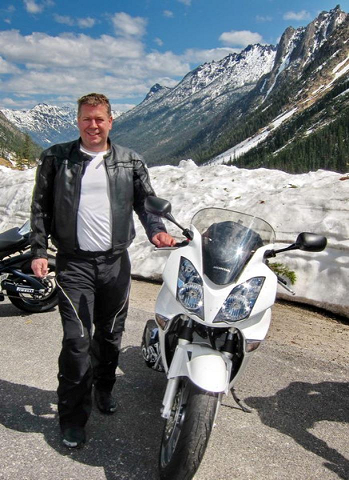 He is a very active motorcyclist, riding with his close friends on weekend rides throughout British Columbia and Washington. He has ridden the mountain passes throughout Oregon, Idaho and Montana and he knows the perils that motorcyclists face. Steve has worked on cases that involve riders who have suffered fatalities and severe permanent disabilities including cases where riders, through no fault of their own, have lost limbs and had their lives altered forever by careless drivers.